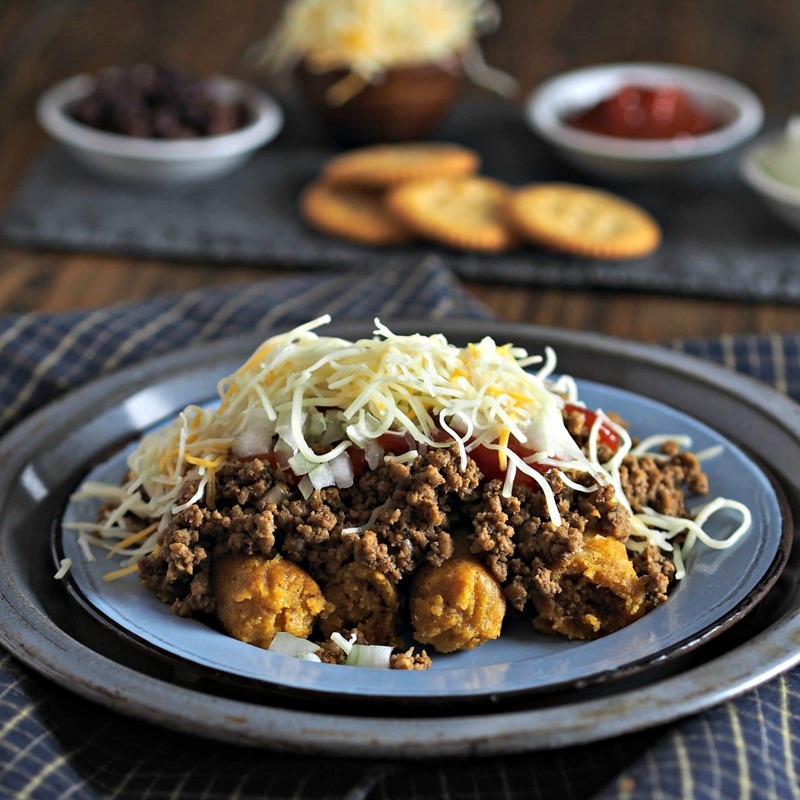 Copycat Dixon’s Chili & Tamale Spread. The basic chili is without juice but can be ordered one of three ways: juicy (natural meat juices), dry (without juices) or soupy (with bean broth). 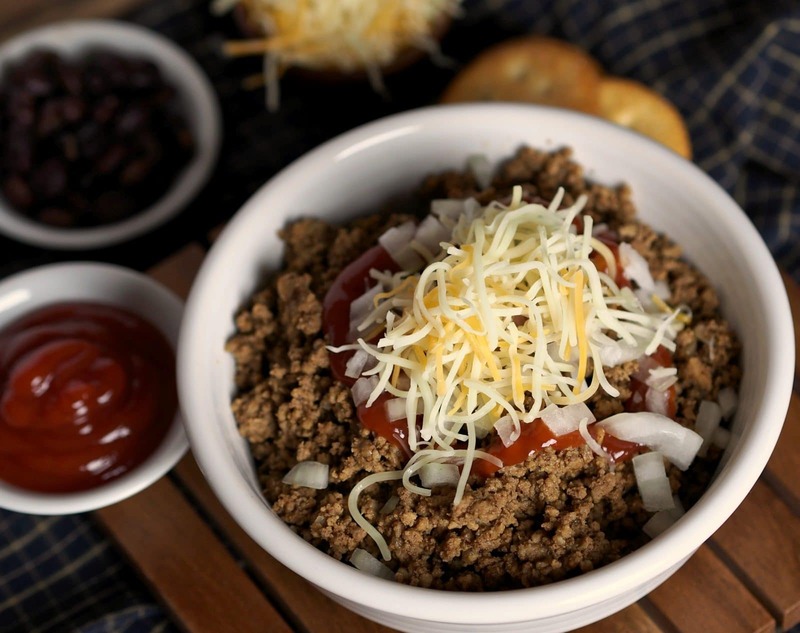 Not only does Dixon’s Chili Parlor serve chili, they also have chili dogs, tacos, spaghetti chili, taco salad, burgers, burritos and homemade pies. My personal favorite, and the dish I always order, is the Tamale Spread. I order the Tamale Spread dry with ketchup, cheese, beans, onions and crackers on the side and I love it. Dixon’s uses Jim’s Famous Tamales for the base of their tamale spread. I just realized this and it makes me very happy. 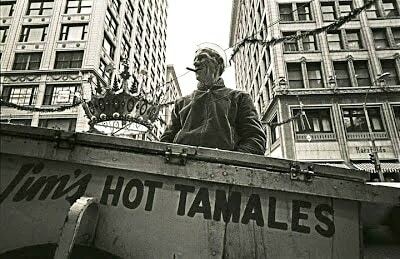 The tamales, that made Jim’s Tamales famous, hold a special place in my heart. As a child in the 1960s, my mom would take my sisters and me to Sears on Independence Avenue to look around. It could be a little boring except for the best part of the whole trip and the part I looked forward to the most. While mom shopped, I would think about the cart full of tamales right outside the entrance and hoped she had some change leftover in order to buy some. If my sisters’ and my memory serves us right, the tamales cost 10 cents each. On the rare occasion when mom could buy a few tamales, each of us was given one half. The tamales seemed almost heavenly, were steamy hot, slightly spicy and delectable. 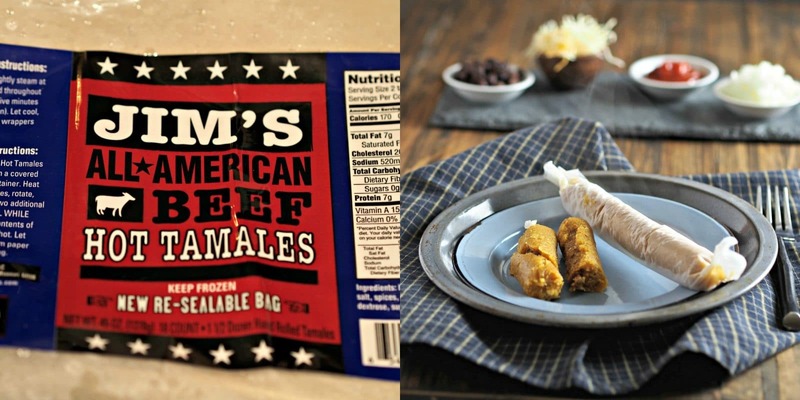 The year before my mom died, I found out Jim’s Tamales were still being sold – and by the same family. Jeff and I took mom to Jim’s Tamales in Independence, where we bought six tamales to eat on our trip home and two large bags of frozen tamales for later use. Not too many things have ever tasted better. Jim’s Tamales has since closed their restaurant, but I did purchase Jim’s Famous Tamales at Sam’s Wholesale Club in Kansas City just last month and know they are available at Price Chopper Stores (in Kansas City, anyway). 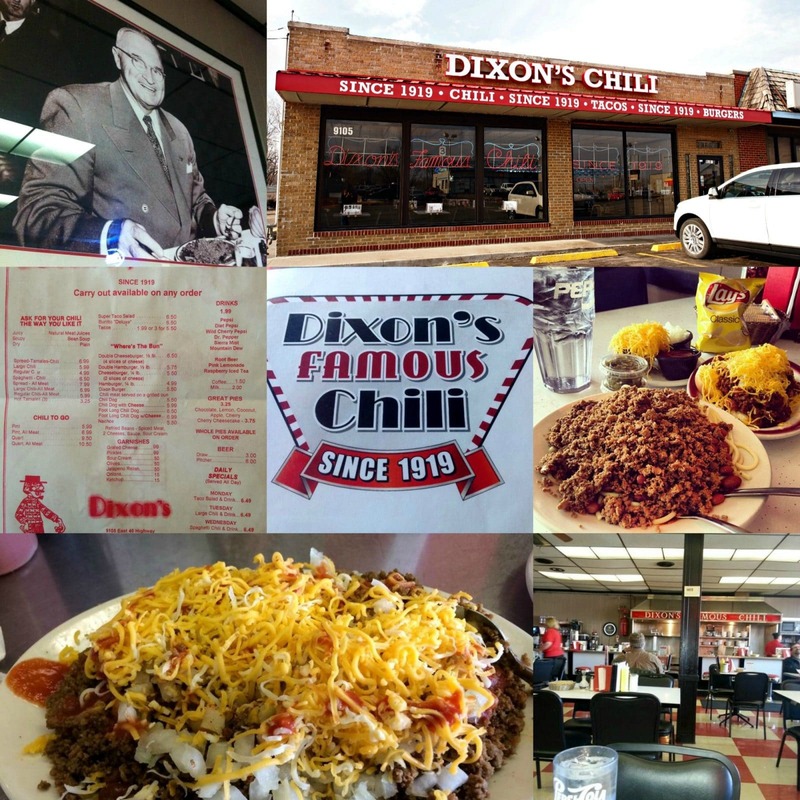 Last December, my husband and I ate at Dixon’s Chili. It had been months since we had eaten there, but the food tasted exactly as it always had. When leaving the restaurant, I was saddened to think it would be several more months, or longer, before I would have a chance to eat there again. I decided then to try to replicate the meal once I returned home. I might not have their exact Tamale Spread recipe down, but my version tastes very close to the original. Of course, I use Jim’s Famous Tamales as the base, and I know my mom would love it. I love and miss you, Mom. This recipe is for you. 1 large onion diced. Half the diced onion will be sautéed and half will be used as topping. In a large stovetop pan, boil ground chuck in 2 cups water until fully cooked and browned. Drain ground chuck then return to the pot. In a medium skillet, sauté diced onion in 2 tablespoons oil until translucent. Add minced garlic and sauté 30 more seconds. Add onion/garlic mixture to drained ground chuck. Add chili seasoning, ground cumin, oregano, salt, black pepper and water, bring to a boil then turn heat to medium-low until liquid is reduced by half. While chili is cooking, steam tamales until heated through. While chili is cooking, place beans in a small saucepan, add onion powder, salt & pepper, to taste, and cook until heated through. Remove husk/paper from tamales and place tamales on a plate. 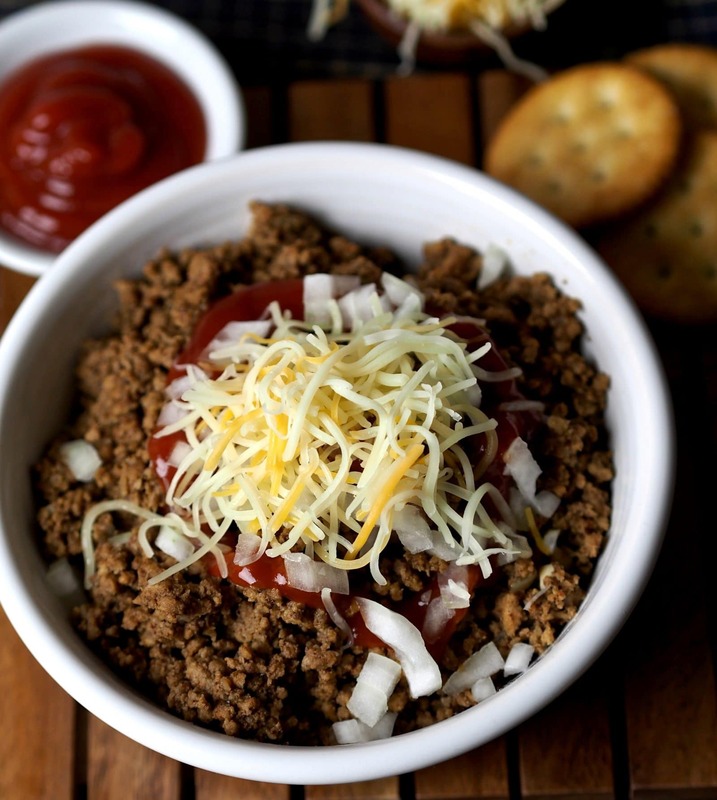 Layer chili, beans, onions, ketchup, and cheese on top and serve with saltine crackers and hot sauce. I can only imagine they have perfected the art of chili making since 1919. I can also see why the tamale spread is your favorite and you look like you re-created it perfectly. Thank you, Janette. It is a very different type of chili - it isn't very spicy and it not juicy, but I love it. Thanks so much for stopping by today. I love Dixon's Chili. I live in Colorado and missit so i se as rched for a recipe. Thank you so much for posting yours! Susie I just love this stroll through one of your favorite dining spots. I feel your favorite memories and they remind me of some of my own. And about this Chili/Tamale combo... Wow!! I want to visit and I want to eat. The story of my life. Thanks for depicting this so beautifully in words and images; excellent job!! Thanks so much, Dan. Maybe - just maybe - we can go to Dixon's and share a meal one day. My OH would absolutely love this dish. Thanks for the idea. Thank you, Bintu. I hope your husband loves it like I do. This looks so warm and comforting! I can only imagine how delicious this is! Yum! Thank you so much for your sweet comments and thanks for stopping by Simply Sated. Incredible food- oh yum. Mom and I would go eat at Dixon's Chili and eat and eat the chili and tamales!! 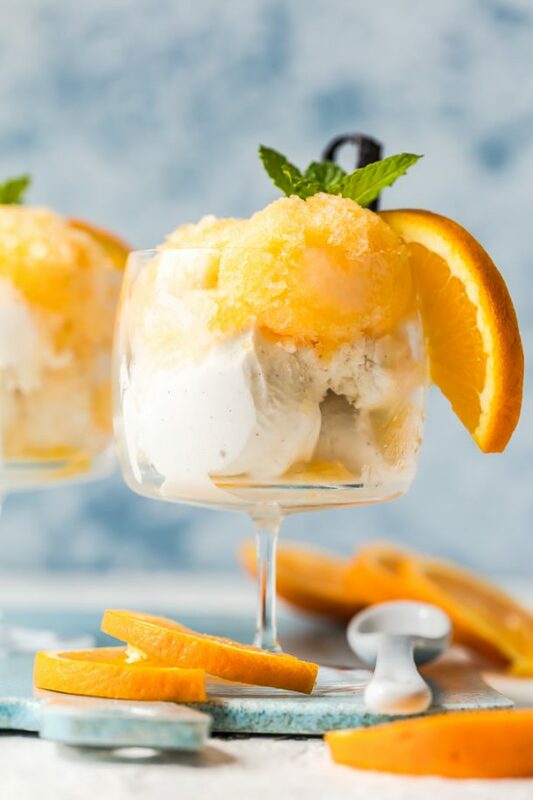 Love the recipe and can't wait to make it. Thanks so much, Linda. Let me know if you think the recipe needs to be adjusted. Jeff and I think it is a great replica, but seriously, let me know. I would love to get some other opinions from people who have eaten there. Mom did LOVE the Tamale Spread. This looks fantastic, Susie. Fabulous idea! 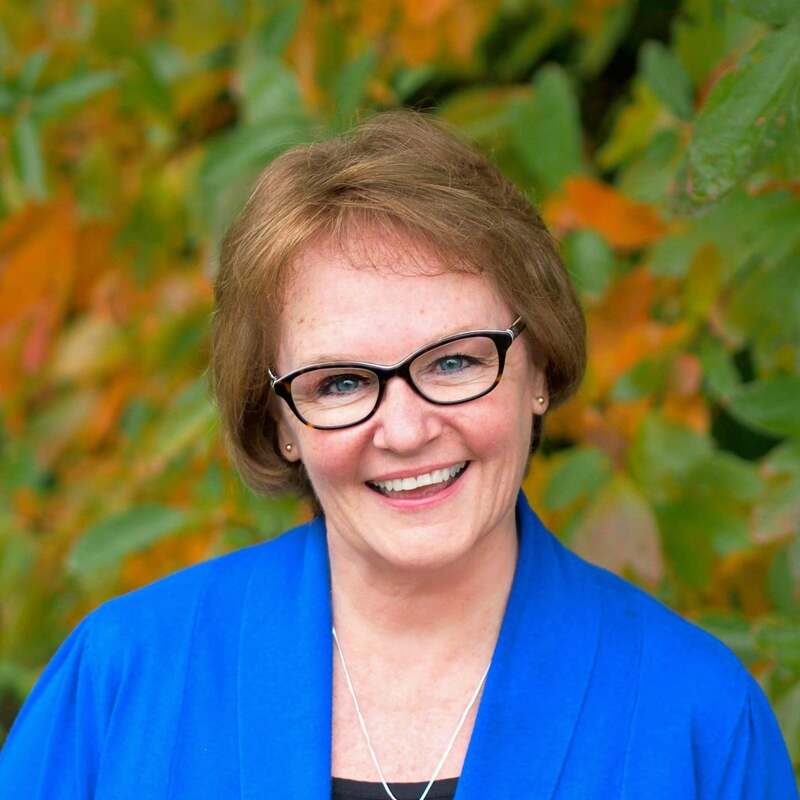 Thank you, Cindy, and thanks for coming by. I truly appreciate your comment. 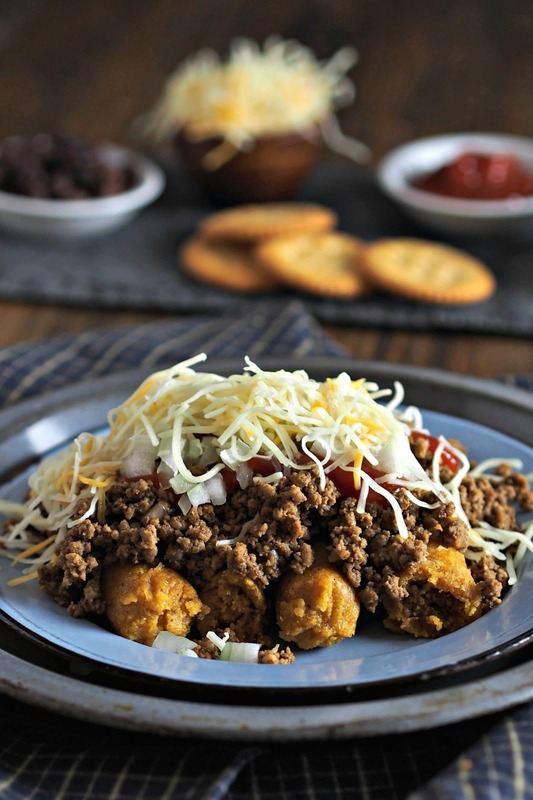 Love a good bowl of chili and the tater tots! Yum! Thank you, Peter. It is a different type of chili, but I love it. Thanks so much for coming by. I'd only tried tamale once before and this looks so much nicer! Looks really tasty! Thank you, Sarah, and thanks so much for stopping by Simply Sated. Looks like another home run. What a perfect day to post this recipe, St. Patrick's Day! Mom would have loved it. This has been a sweet day of walking down memory lane. I can just picture all of us with Mom at Dixon's. Thanks.. Thanks so much, Pat. Mom would have loved this, and I picture all of us at Dixon's every time I fix this meal. I also picture the tamale cart and those steamy, yummy tamales. I am always up for new chili recipes and this one looks yummy! Thanks for this recipe! I loved Dixon's/Fritz's chili before moving away from Kansas City and this recipe is the first I've seen that described how it was made. I made a half-batch tonight and it turned out very similar to how I remember the originals. Next time I'm definitely including the tamales. OH MY GOSH!!! We just returned from a trip from Kansas City and stopped into Dixons only because it was close to Arrowhead Stadium...we thought we had found heaven after having a plate of their Juicy Style Chili with sides of onion and cheese. We knew we had to have it again but we live 900 miles away. We tried your recipe and you NAILED IT!!! Thank you for bringing Dixon Chili to Albuquerque NM.